Africa’s rise is challenged by global uncertainty and lower commodity prices. It calls for a structural transformation. There is no miracle. Or maybe the miracle is called job creation backed by policies that ensure the linkages between growth and jobs. 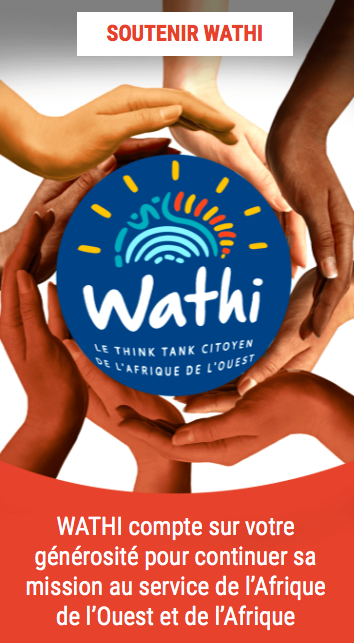 The shared vision of #AfricaWeWant lies in our individual and collective ability to partake in a broad-based economy where everyone is invited according to their skills. There are opportunities for skill diversification into value-added agriculture and agro-industry, processing of mineral resources, and the recycling of Africa’s waste. While these may not look like jobs in Dakar, Lagos, Abidjan, Bamako, Conakry or Cotonou, we need to redirect the productive energy of our citizens according to the current economic framework. Other sectors such as manufacturing, tourism and information technology can play a critical role in ensuring that Africa’s youth find a productive outlet to contribute to economic growth. Africa is home to 50% of the world primary-school-age children who have been deprived of the opportunity to study. Africa is home to 50% of the world primary-school-age children who have been deprived of the opportunity to study. Our education system needs to be reformed to match skills required by the current and planned economic framework. Our response to external shock should be to create jobs along the value chain of Africa’s natural resources. We must become masters of apprenticeship. Maybe this is the piece that was missing in the Africa is rising puzzle. Forbes Africa, recently published the story of the multi-billionaire head of Coscharis Motors, Cosmas Maduka. At age seven, little Cosmas was withdrawn from Elementary Three to serve as an automobile apprentice to a maternal uncle in Lagos. It was a bumpy ride, but we know where it got to. The key lesson in terms of apprenticeship is best captured by Cosmas’s advice: You can start any mean job as a stepping stone to where you want to be. The United Nations Development Programme reports that the average cocoa farmer is more than 50 years old and few young people are getting involved in the sector, yet Côte d’Ivoire and Ghana represent 60% of the world production. Neither countries can continue to just be suppliers of primary and intermediate derivatives of cocoa. The growing middle class’s consumption of chocolate demonstrates the potential along the cocoa value chain both in West Africa and beyond. There is a further potential to make Africa redirect its current food import bill. There is certainly no need to continue to spend $40bn per year when we have, 60% of the world’s uncultivated land in Africa, according to the Alliance for Green Revolution in Africa. You can start any mean job as a stepping stone to where you want to be. Apprenticeship not only provide skills but the relationship between the master of the trade and the apprentice is a significant part of reintroducing civic education into our societies. In Germany, about 60 percent of young people train as apprentices, in fields as diverse as advanced manufacturing, IT, banking, and hospitality. Africa will not be reinventing but capturing the essence of “Dual training” to address the skills deficit and mismatch. Youth in apprenticeship could “split their days between classroom instruction at a vocational school and on-the-job time at a company” thus embracing a public-private partnership that delivers professionals with skills, tools and behaviors that add value to the national discourse of social transformation. Structural transformation is about the ability of Africans to use their skills to capture the value chain of our natural resources. Skills mismatch can become history in our lifetime. Wealth and wellbeing have their roots in our ability to work the land, transform the harvest and expand our domestic markets to lessen our reliance on foreign goods and skills. 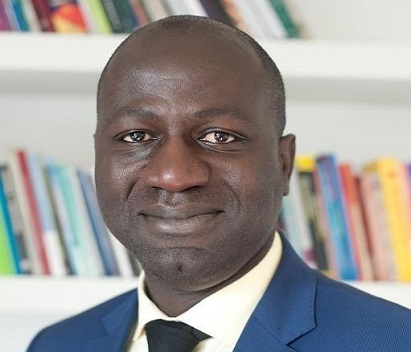 Carl Manlan is an economist from Côte d’Ivoire currently serving as the Executive Secretary at Africa against Ebola Solidarity Trust, which was set up to harness African financial resources to support the African Union against the Ebola outbreak in West Africa. Prior to this, he was a Mo Ibrahim Fellow in the Office of the Executive Secretary of UN Economic Commission for Africa. In 2012, he earned a Master’s degree in public administration from Harvard’s Kennedy School of Government. In 2015, he was made Officier de l’Ordre National du Mérite du Bénin. He is a 2016 Aspen New Voices Fellow.